Finally, the 28nm GPU generation has arrived for laptops. Nvidia has officially announced the new Kepler generation of graphics cards as part of the new GeForce 600M series. However, only some cards of the 600M series are based on the Kepler architecture while some are still of the Fermi generation. More information after the break. Nvidia today has officially launched the new Kepler architecture - the successor to the successful Fermi lineup - for mobile computers. The new 28nm core should offer up to twice the energy efficiency when compared to its predecessor. Users must take note, however, that only certain GeForce 600M cards will be based on the Kepler core. First off, let's start with the new model ranges. 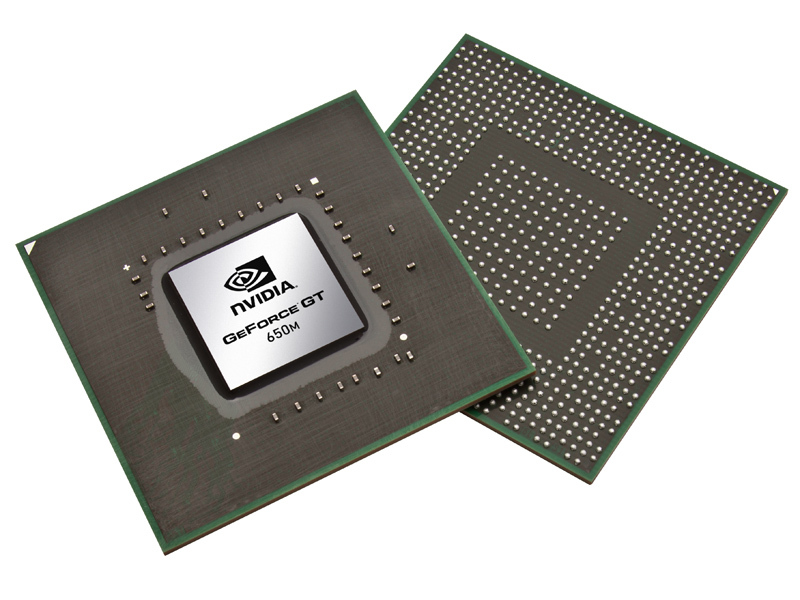 Nvidia will make available the GeForce GT 620M up the the GTX 675M, where everything in between can be either a 28nm Kepler core, a 28nm Fermi core or even renamed 40nm 500M Fermi core. The most notable and "true" next-gen models are the ones based on the new GK107 architecture, such as the GeForce GT 640M LE, GeForce GT 640M, GT 650M and GTX 660M cards. These models all benefit from 384 shader cores, 32 TMUs and 16 ROPs with a 128 bit memory bus. The main difference between these 5 cores will be factory clock rates and the associated memory type for VRAM. Another new chip is the GF117 in the GT 620M and in specific versions of the GT 630M. The architecture here is essentially an optimized 28nm version of the GF108 (GeForce GT 540M), but without dedicated monitor ports. Therefore, these cards can only be used in conjunction with Optimus and are still Fermi cards at heart. The high-end GeForce GTX 670M and GTX 675M are, unfortunately, still based on the old 40nm GF114. As a result, the specs are more or less similar to the GeForce GTX 570M and GTX 580M, respectively, and can be considered renames. The only difference is the slightly higher clock speed of the 670M compared to the 570M. A Kepler-based high end card (possibly the GTX 680M) is expected later this year.